Multiple CAQ Exam Dates in Aug. and Sept. If you are interested in getting more involved in the work of NCCPA, we encourage you to read more about the role and qualifications of NCCPA Board members and consider applying. As we solicited PA feedback on potential changes to PANRE, many voiced questions and concerns about the CME required of those in the 10-year certification maintenance process. PI-CME was also the hottest topic among those visiting NCCPA’s information booth at the AAPA conference last month. While we continue to receive and consider that feedback, we wanted to share these FAQs on the topic, particularly for those who must log PI-CME or self-assessment CME activities this year. Q. I am having trouble finding PI-CME activities related to my area of practice. What are my options? A. The last thing we would want any PA to do is to invest time in a PI-CME activity that is not practice-related just to check that requirement off a list. Instead, we suggest that you wait for more options to become available, and pursue self-assessment CME activities for now. Remember that you could put off PI-CME until the third two-year CME logging period if need be. While we have had the expectation that there eventually would be relevant PI-CME activities for all certified PAs, we are considering possible remedies for those for whom this remains a challenge. Q. I have found some self-assessment CME that does not seem to be approved for AAPA self-assessment CME credit. Do those still count? A. Not currently. However, we understand that AAPA is actively working to expand the range of self-assessment activities approved by them for credit, and we encourage you to contact them when you find self-assessment activities you are interested in pursuing that have not been AAPA-approved. In many cases, they have been able to work with other CME providers to expedite that approval process. That said, there is a wide array of approved self-assessment activities, some of which are available for free. Please note that NCCPA does not provide, approve, sponsor or endorse CME programs. You can find a list of AAPA-approved self-assessment and PI-CME activities by specialty area online at https://www.nccpa.net/finding-sa-and-pi-cme. As the formal PA comment period closed last week, NCCPA President/CEO Dawn Morton-Rias, Ed.D, PA-C issued a message about the next phase of the work on considering changes to the recertification exam process. You can read that message here if you missed it. If you want to document your experience and expertise in a CAQ specialty, 2016 is the year to do it. For the first time, PAs in all seven CAQ specialties can choose from multiple exam dates to take the CAQ exam. This year, exams in emergency medicine, cardiovascular and thoracic surgery, orthopaedic surgery, pediatrics, hospital medicine, psychiatry and nephrology are offered nationwide between Aug. 1-5 and Sept. 12-16. Read more about the requirements to earn a CAQ. To sign up for the program or schedule an exam, sign in to your record. The PAHx is raising funds for improvements to the John McElligott Veterans Memorial Garden, a site that honors the contributions of former military corpsmen as pioneers of the PA profession. Funds raised will update the overgrown landscaping and add a sitting area near the garden’s statue, spotlights for the flag pole, and a fence to enclose the garden area. The Society needs to raise $30,000 more to complete this project. Engraved named pavers will be embedded in the walkway and surrounding patio to honor veteran PAs and their service to our country. The engraved 9x9 brick pavers are available for $100 each. For those interested in purchasing more than one paver we offer a sliding scale: 1 for $100, 2 for $175, 3 for $250, 4 for $325 and 5 for $400. The engraved paver will include the appropriate uniformed service logo and 3 lines for name, branch and years of service. To order your tax deductible brick paver(s) please click here and you will be directed to our PAHx Veterans Garden Paver site at Bricks R Us. 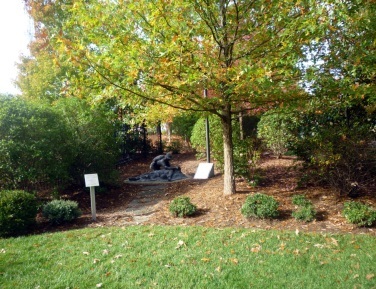 General tax deductible donations (non-brick pavers) can be mailed to: PA History Society, 12000 Findley Road, Suite 160, Johns Creek, Georgia 30097. Please mark “Garden” on the memo line of your check. Credit card payments are accepted via the PAHx website at: http://www.pahx.org/donate-pa-history-society. Please mark “Garden” next to your name. For more information about this project, please visit our website, or write to us at contactus@pahx.org. The nccPA Health Foundation needs YOU! Apply to receive a Foundation grant or to serve on the Foundation’s Board of Directors. Since 2012, the Foundation has issued more than 20 grants in 17 states to equip PAs to promote health. Four grant programs are available for PAs leading change for healthier communities. The new Kathy J. Pedersen Grant to Promote Equitable Care provides up to $5,000 for PA-led projects that include innovative, actionable strategies that directly and sustainability impact public health needs. If you haven't already done so, submit your application for the Kathy Pedersen Grant by our extended deadline of Wednesday, July 6, 2016. Not ready to apply? Consider the Foundation’s Be the CHANGE ($1,000) and oral health community outreach ($500) grants, which are available year-round. Use these grants to help showcase the PA profession during national PA week in October! PAs, students, and interprofessional champions are encouraged to apply for the three seats being filled on the Foundation’s Board of Directors. Successful new Board members will support the Foundation’s work by offering diverse perspectives and expertise; and the Board is seeking individuals with experience in mental and behavioral health, public and community health, marketing/public relations, clear understanding of and/or work with PAs. Learn more about the Foundation Board in our Information for Prospective Candidates or Information for Prospective PA Student Candidates and submit requested materials by Friday, July 22, 2016. Questions? Email Tiffany Flick at tiffanyf@nccpa.net. Board members serve three-year terms (2017-2019) with the possibility of reelection for a second three-year term. Board member will be elected by the NCCPA in November 2016 and begin their service to the Foundation on January 1, 2017. The Foundation knows PAs are making important changes to improve health and invites you to share in a Twitter dialogue about how to be the change by following the Foundation @nccPAHealthFdn. Read the article “PAs in long-term care and skilled nursing facilities” that was published in McKnight’s. Quotes from NCCPA's president/CEO explaining how PAs are important to expanding access to care in Medical Economics: Combating the Physician Shortage. Press releases being sent to local media, employers and PA programs on behalf of Emergency Medicine PAs who earned a CAQ after passing a special administration of the test in April. The Helena, Montana Independent Record published the achievement by Rachel Mattern, PA-C.